I find that most books on woodworking are geared towards beginners and, as a result, seem to all answer the same general questions, i.e., what is wood? how does it move?, etc., before getting to the meat in the back of the book. This is true even of books on the specific disciplines within woodworking such as turning, veneering, or carving. 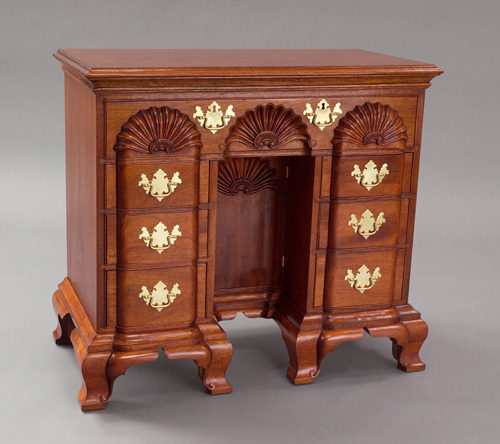 Rare are the books that assume a basic knowledge of wood and woodworking and instead, get right to the good stuff: the decorative features that identify American period furniture as uniquely American. 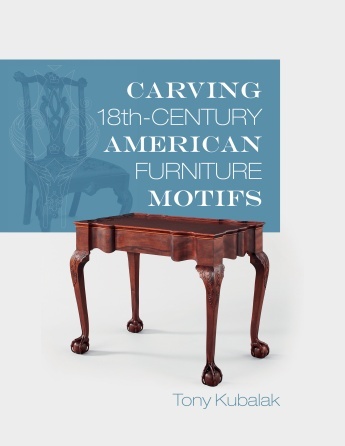 A recently-released book on 18th century carving by SAPFM member Tony Kubalak is just what our craft has needed, jumping right to the good stuff from the first page. 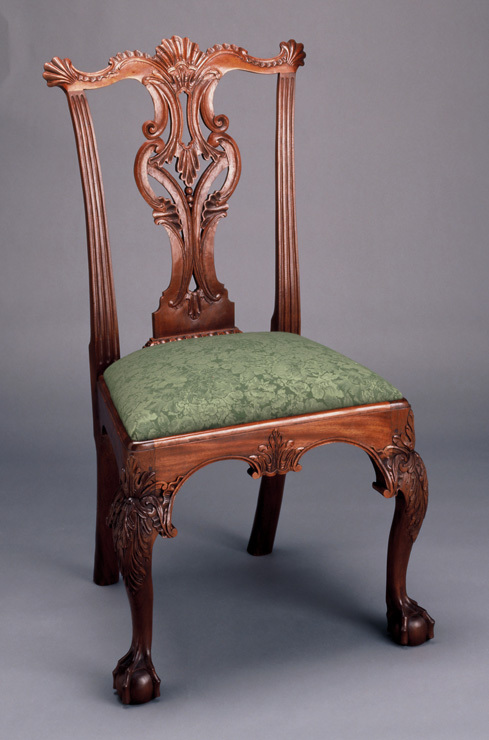 Written with the members of SAPFM in mind, Kubalak's Carving 18th Century American Furniture Elements is the long-awaited answer to redundant introductions to woodworking. In the past, you would have had to photocopy articles from magazines in order to assemble such a focused collection of materials. 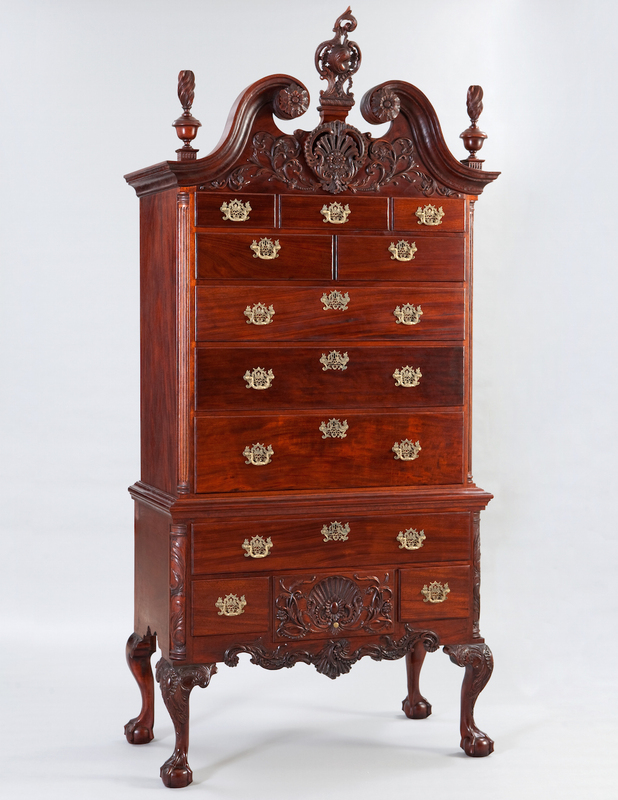 Each of its ten chapters covers a carved embellishment found on Philadelphia and Newport furniture from the mid to late 1700s. 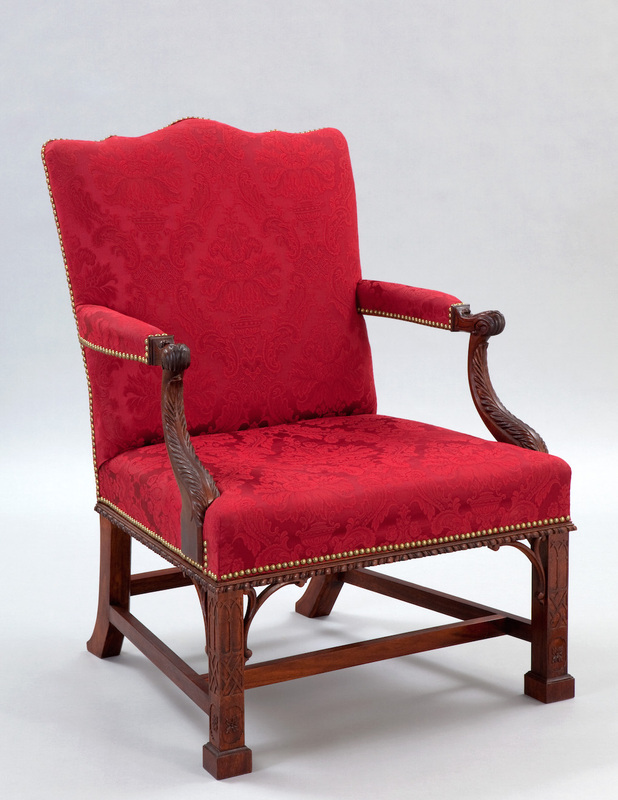 Described as a "step by step guide to carving … authentic motifs," Carving 18th Century American Furniture Elements remains true to its mission throughout. After a one-page introduction, Kubalak gets right to work shaping a cabriole leg and then carving a Philadelphia ball & claw foot. 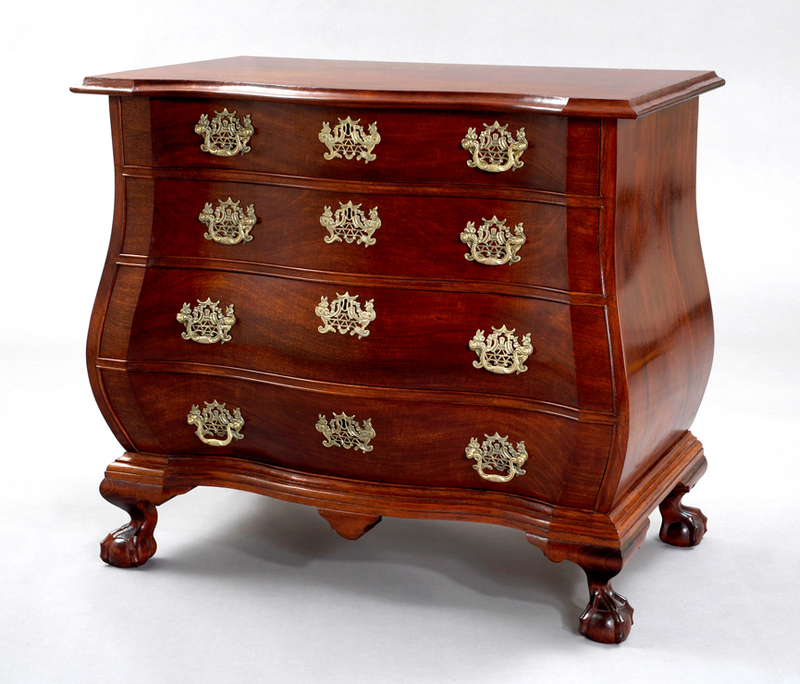 Every chapter begins with a description of a carved motif and its customary application, leading to detailed instructions for carving shells, foliage, and finials. Ample photographs as well as diagrams and templates, scaled where necessary, supplement the technical how-to descriptions. I find the author's tips for sequencing the cuts, as well as for assembling carved elements, to be particularly helpful as these lessons are usually learned through experience rather than from a book. Whether you are a veteran woodworker seeking to broaden your skills or are new to period woodcarving, this book will give you the confidence to undertake what you have perhaps only appreciated vicariously. Much of the information in Kubalak's book can be found nowhere else, and it will surely instruct and inspire many to further embellish their work. Carving 18th Century American Furniture Elements can be purchased at www.TonyKubalak.com or from book sellers everywhere. 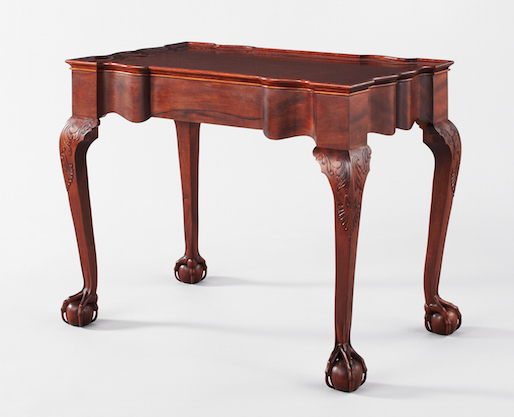 Period furniture makers are an elite bunch who are well aware that most publishers consider them too small a group to devote much space to. 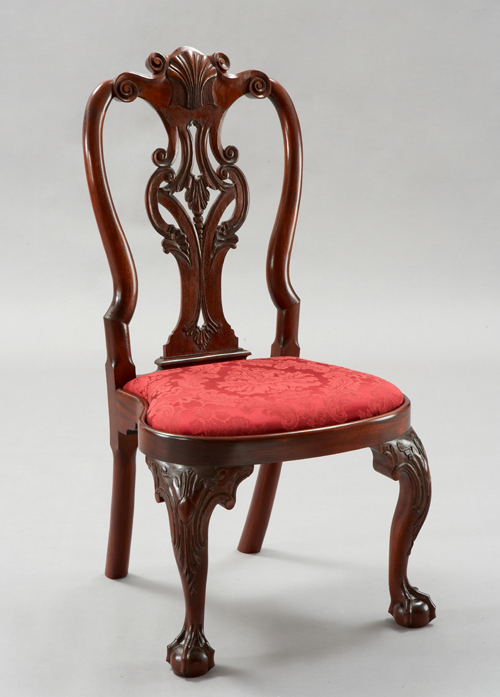 Why describe how to build a Chippendale chair when three or four times as many readers will attempt a Morris chair or a Shaker chair? It therefore came as a very pleasant surprise to receive not one but two books that go into great detail how to build some of the most challenging pieces of furniture every made in this country. 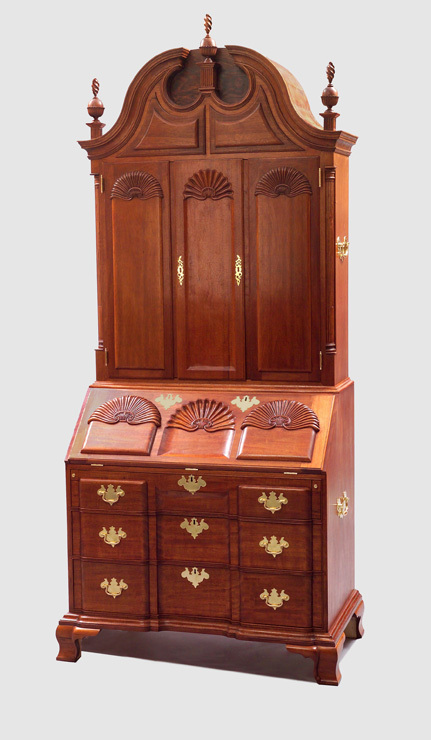 Tony Kubalak is a period furniture maker near Minneapolis, MN who has appeared in Fine Woodworking magazine. In his book he focuses on carving ten signature motifs ranging from the cabriole leg to convex and concave Newport shells. The book is richly illustrated with many of the author’s stunning finished pieces, and step-by-step photos of each process. This is no book for newcomers to carving, but those with some experience who are keen to scale the summits of carving will find it a great companion at their workbench. Published by Linden, the book costs $24.95 and can be founded at good bookshops and at the author’s website: www.TonyKubalak.com.